During the course of any project, it is always sound thinking to verify the consistency of the information contained within a Building Information Model (BIM). Failure to audit the BIM will undoubtedly result in unreliable output data and, by extension, generate false reports. To obtain trustworthy output from BIM, all documentation must be constructed while respecting certain practices, standards, and Levels of Development (LOD). Output includes Construction Documents, Constructability Analysis, 3D Coordination, Bills of Materials, 6D Facility Management models. It’s good practice to have an objective third party validate all BIMs developed at key points throughout a project. With the vast experience that ENGworks holds in creating & validating BIMs, we can review designs to ensure specific methods (level of detail, naming standards, and other design criteria) are properly documented. 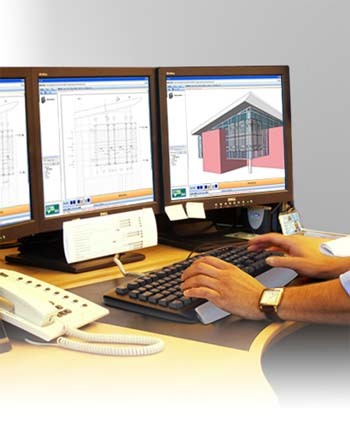 ENGworks can serve as your neutral outside party to perform BIM validation. In addition, our BIM validation methods can coach a design team on the improved use of the BIM software.